I went to Costco for coffee, and I came out with – figs! I hardly ever see fresh figs, but Costco had them by the dozen, so I bought 2 dozen and went home to practice fig creativity. I had a potluck to go to – and of course, there was the Wow factor to consider. 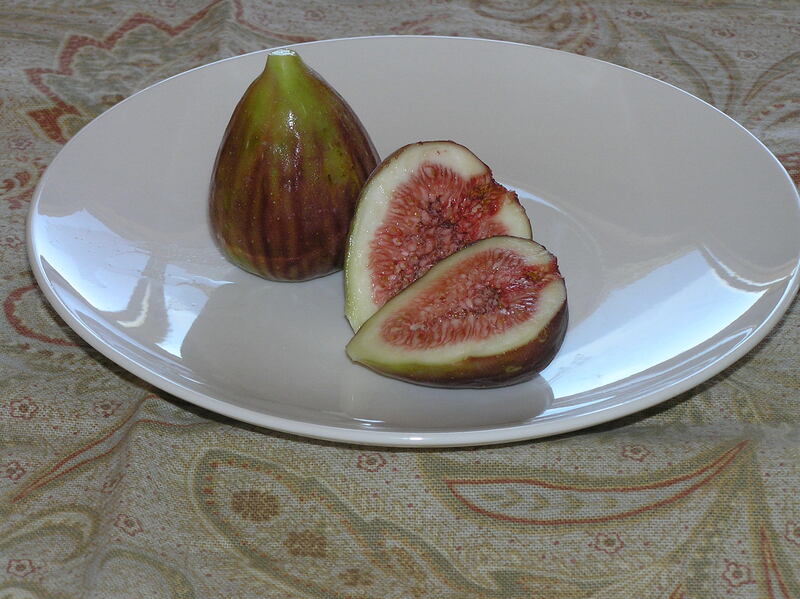 Figs, by their comparative rarity and exotic beauty, have a built in Wow factor. I bought a stick of goat cheese, too, since it seems to me that goat cheese and figs are a natural combination. I wanted something that would be easy for people to pick up, since this potluck party, on the roof of a photographer’s office building, has hundreds of people bringing scores of dishes. Everyone puts a bit of this and that on their plate, in between dancing, listening to live music, and engaging in great conversation. Preheat oven to 350. 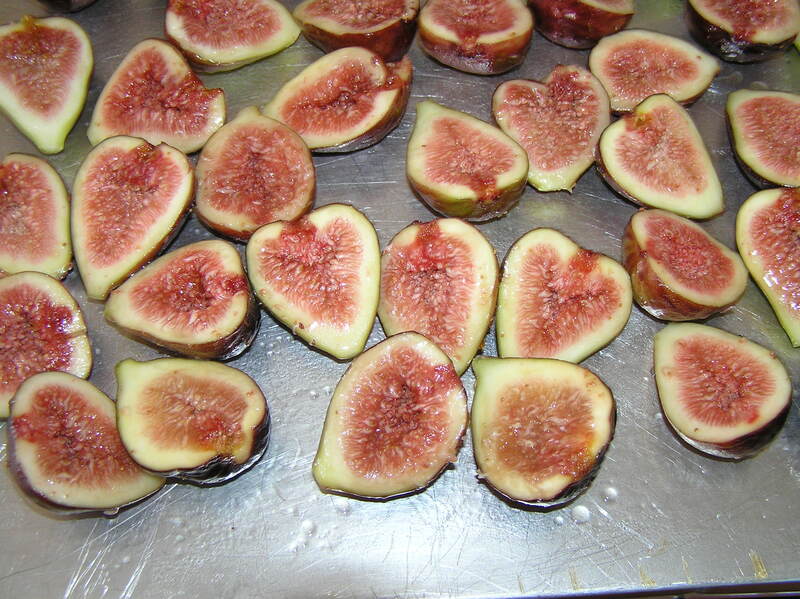 Place figs cut side up on a baking sheet. Brush with 1/3 cup honey. 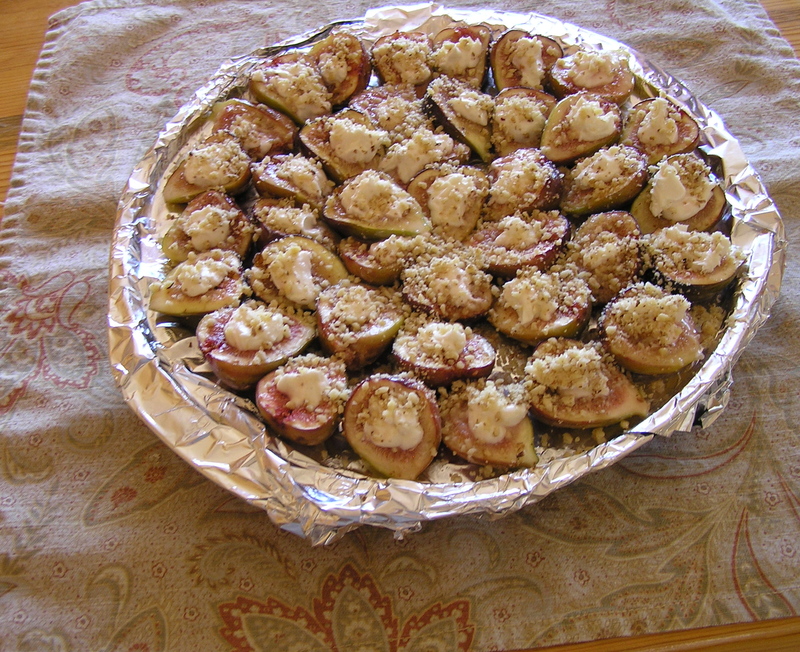 Bake for about ½ hour or until figs are soft. Allow to cool. Beat the remaining 1/3 cup honey with the goat cheese. 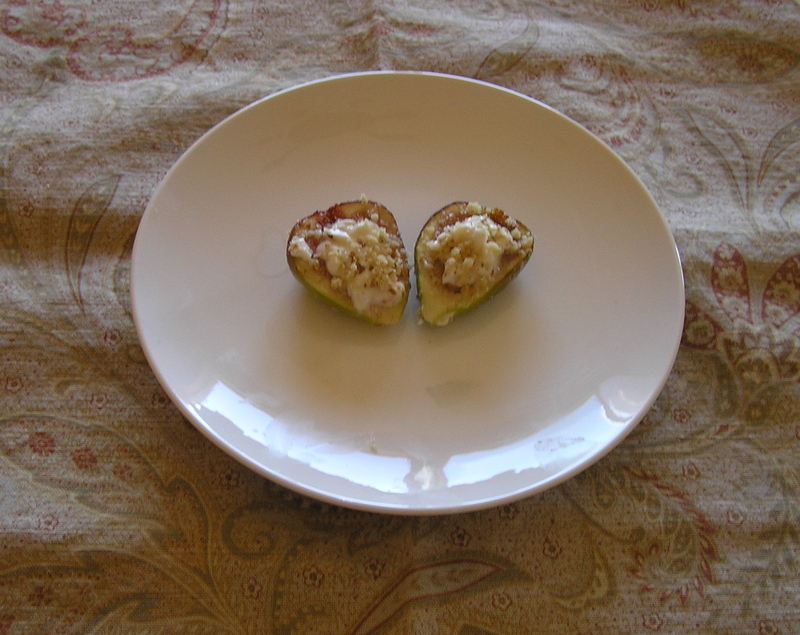 Stuff the figs with about a teaspoon of goat cheese each. Sprinkle with the nuts. The foil-wrapped pizza pan “platter” isn’t very elegant, but at this crowded affair, when your dish is empty, someone tosses it under the table. When you want to leave, you dig under the table to find whatever you brought your food on. This is not the place for Grandma’s best china!